Ozanam Charitable Pharmacy was named after Blessed Frederic Ozanam, the founder of the St. Vincent de Paul Society. 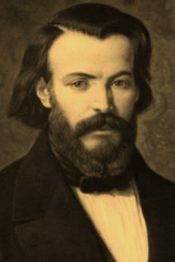 In 1833, along with a group of other concerned men, Frederic Ozanam founded the organization which expanded to over 2,000 individuals before his death in 1853. As a young man in France during the early 1800s, Frederic saw the need for an organization that would help those who were unable to help themselves. Frederic’s first act of charity was to take his supply of winter firewood and bring it to a widow whose husband died of cholera. It is with that mission of service for the poor that the pharmacy was founded and continues to this day.